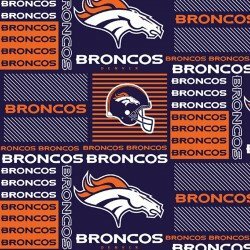 NFL Denver Bronco logos and words on blue background cotton. 100% cotton. 58-60 wide. Cannot be used for manufacturing.